The growing use of software applications in the home, the workplace, and in public places has resulted in the increased production and use of personal digital files. These digital files may take the form of emails sent to colleagues, photos of family and friends taken on a camera or smartphone, music downloaded from a number of different services, or videos taken at weddings or birthday parties. In this environment of increased data production and usage, unavoidable questions arise as to what happens to these files when a person dies. 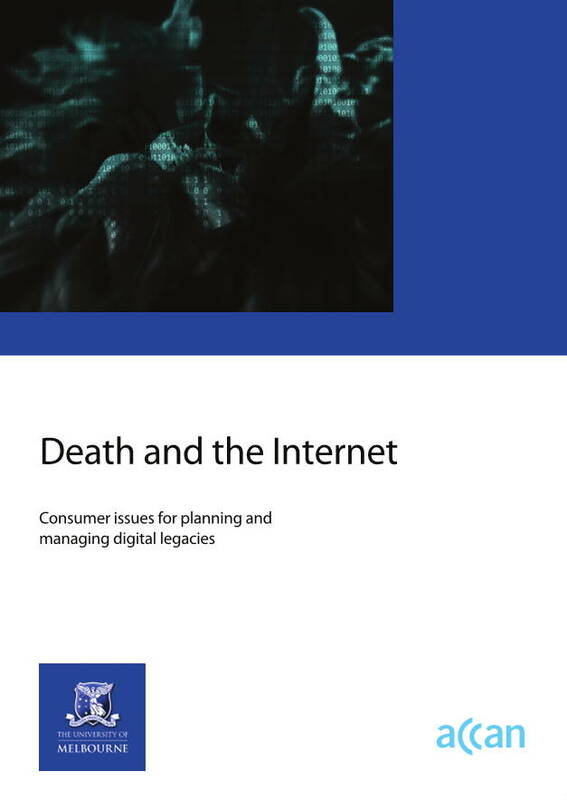 This report considers this question in regards to a broad spectrum of digital media types and services with a particular emphasis on describing the current ownership and privacy issues, which are key to understanding how digital files may be bequeathed to another person. 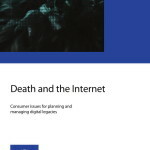 Posted in Asia Pacific, Digital Economy, Digital Media, eGovernment, Federal, Governance, Intellectual Property and tagged ACCAN, birthday party, camera, death and the internet, digital files, digital legacy, digital ownership, digital privacy, downloaded music, media service, media type, personal digital files, photos of family, photos of friends, smartphone, software applications, University of Melbourne, wedding video.